Video: "Mark Hamill is Jealous of Harrison Ford’s Star Wars Memorabilia"
Hamill is set to return as Luke Skywalker in Star Wars Episode IX, which began filming on Wednesday at Pinewood Studios in London. Obviously Luke's scenes weren't shot on the first day, otherwise he wouldn't have been able to make this appearance. 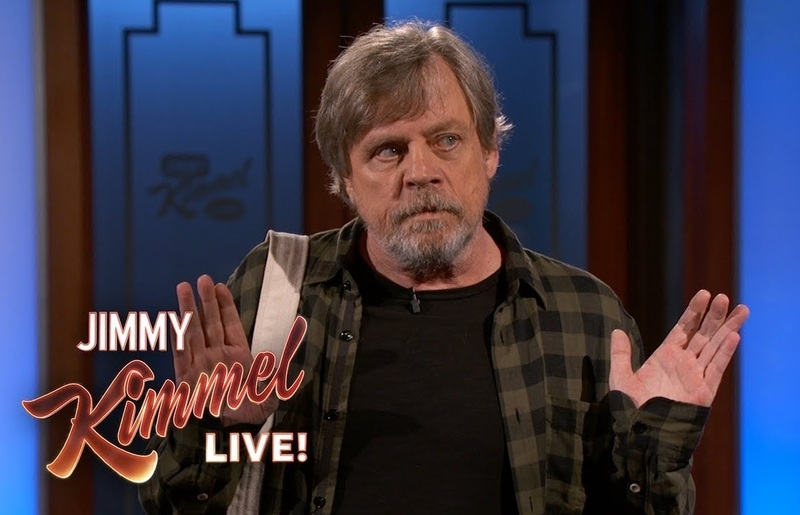 It's also worth noting that he is sporting his sequel trilogy Luke Skywalker beard again (or, at least, he's working his way up to it).